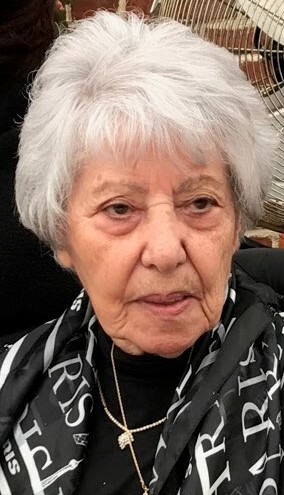 Obituary for Nancy Amato | Pleasant Manor Funeral Home, Inc.
Nancy Amato passed into eternal life peacefully in her home at 92 years young on Monday, January 28, 2019. She is survived by her loving children Joanne (Kevin), Janet, Edward (Diane), Marigrace (Richard), ten grandchildren, eight great grandchildren and many nieces and nephews. Her devotion to family is her legacy to all who knew and loved her. She was always ready to share a meal, her belief in God and a good time. "Drink and make merry, Mom is at rest with the rest." Family and friends are invited to Pleasant Manor Funeral Home, Inc. 575 Columbus Avenue Thornwood, New York 10594 on Wednesday, January 30, 2019 from 3:00 - 9:00 PM for visitation. A Mass of Christian Burial will be celebrated for Nancy at Holy Name of Jesus Church in Valhalla on Thursday, January 31, 2019 at 10:00 AM. She will be laid to rest at Gate of Heaven Cemetery in Hawthorne following the funeral mass.